This past week we saw the finalisation of the Ladies and Men’s 21 Up competitions. The finals saw a day of pleasant Autumn weather conditions. A top of 23 degrees with a slight breeze that meant it was pleasant for the observers of the contest but a little tricky for the bowlers participating, in deciphering width and length of delivery. As they say in bowls when all the elements align for you on a given day in bowls, you are unbeatable. 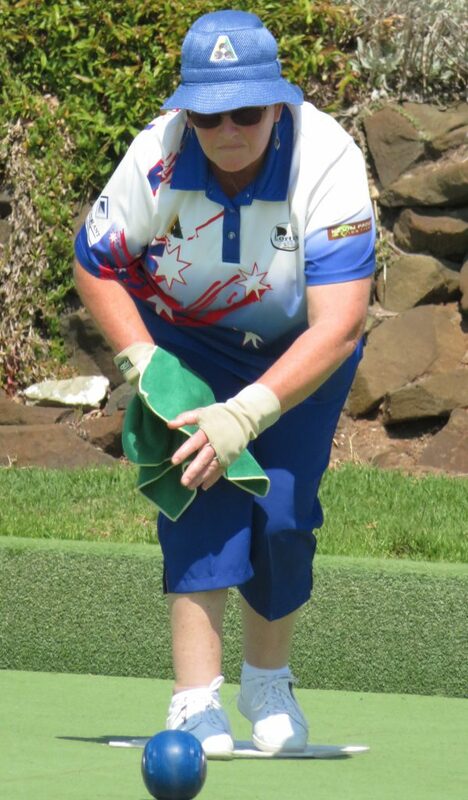 Such was the day for Kim Overall who found her rhythm early and saw her consistently put down bowls that found their mark up near the kitty. The final result was 21 to 1. 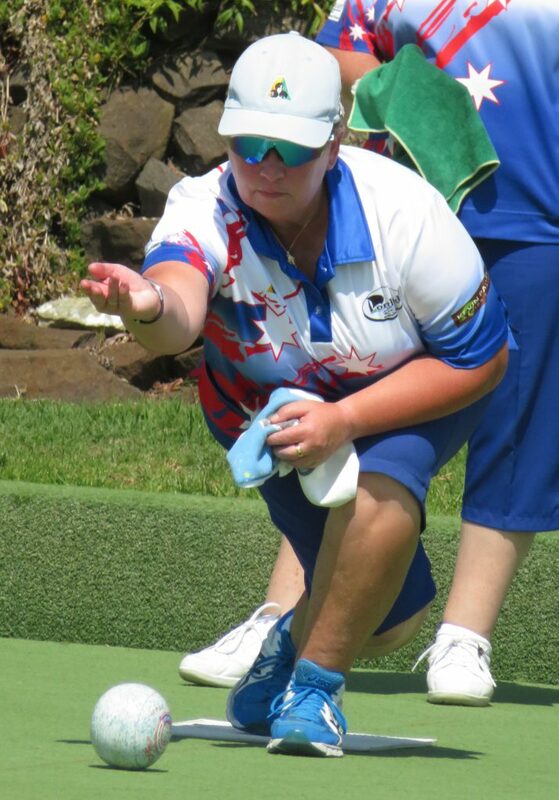 Kathryn Beauglehole fought hard to draw her bowls in but as she stated ‘I think I played my grand final on Friday’. Friday saw Kathryn playing in the semi-final against Robyn McCabe in an extremely close fought entertaining contest, which ended in Kathryn taking the win 21 to 20 on the last end. Congratulations Kim on your well deserved triples win for this title. 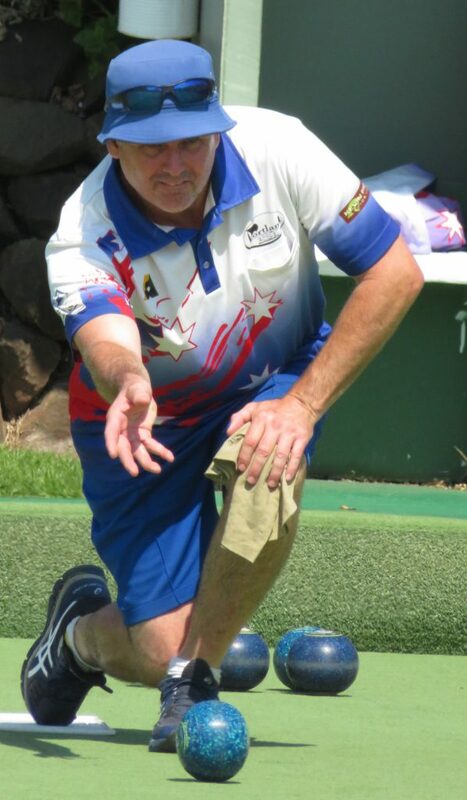 The men’s competition was tightly contested and saw Mike Rentoul early on the kitty with accuracy. 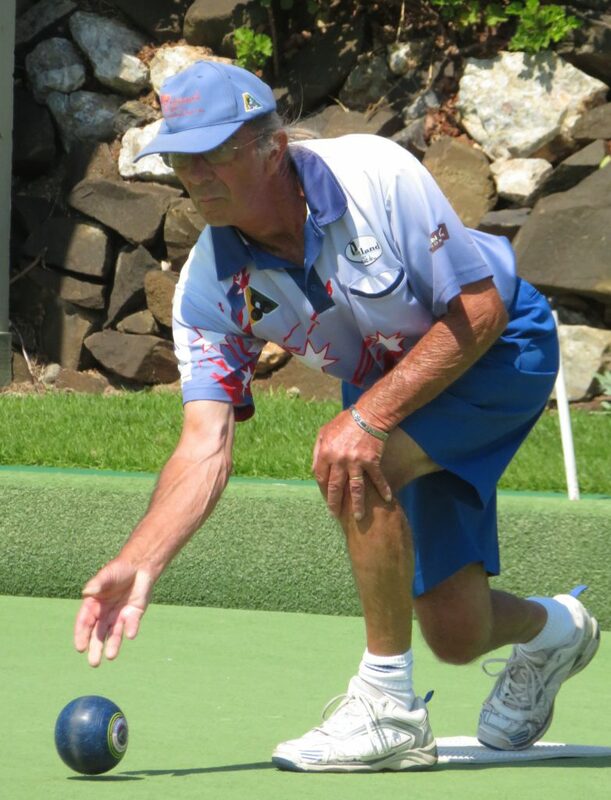 Steve Turner took a while to settle but once he gained his rhythm, the bowls he delivered did the required yards that were needed to bring him to the fore and put the winning score on the board. Mike was however there in the mix at all times making each end interesting. Congratulations however go to Steve on the win and coming up with the 21 Up club title for 2019. 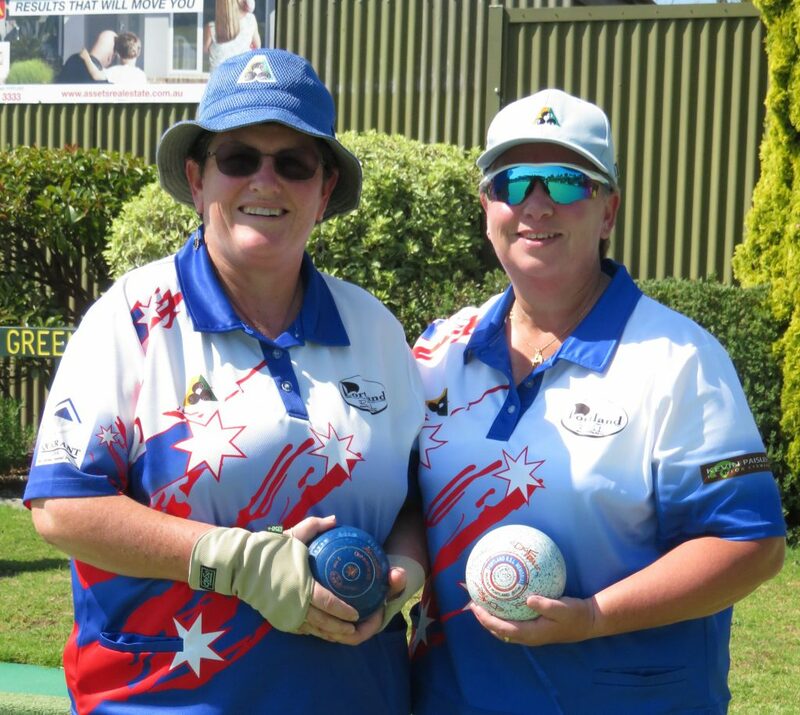 Last week we also saw two of our lady bowlers representing our region in the West Coast Bowls Region Pennant Team competition. Our Far West Division Pennant Team which included Leonie Buchanan and Kathryn Beauglehole from our club along with team members from Portland, Grangeburn, Heywood, Dunkeld, Balmoral, Coleraine, Macarthur, Casterton and Dartmoor, played against the Western District Bowls Division and the Corangamite Bowls Division. 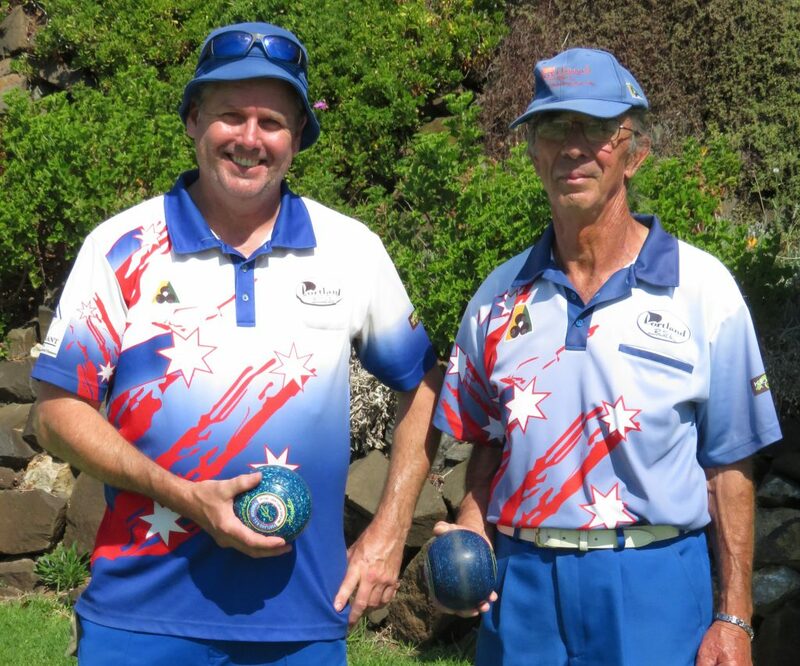 The Far West Division Pennant team came away the winners on the day which meant a back to back from last year. Well done girls on representing out club at this prestigious level and on coming away the winners on the day. We look forward to hearing progress on the next level this competition is played at. Heywood held their Ladies Skipper Invitational Fours Tournament during the week. Ken and Jan Woolley were part of Heather Burgess team who came away winners on the day. Well done to the combined team who were well led by Heather. On Monday evening we had an enthusiastic bunch of bowlers new, old, inexperienced and experienced, come along and enjoy a magical Autumn evening of bowls. The weather could not be better. A big shout out to John Holien and Graeme McCabe who are there every Monday evening to organise the Twilight competition which starts at 6:00pm. Names need to be in by 5:30. Just ring the club on 55237155 to register your name.